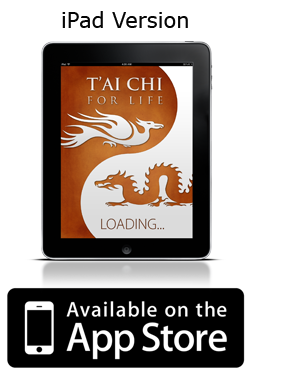 The “T’ai Chi For Life” App is now available! 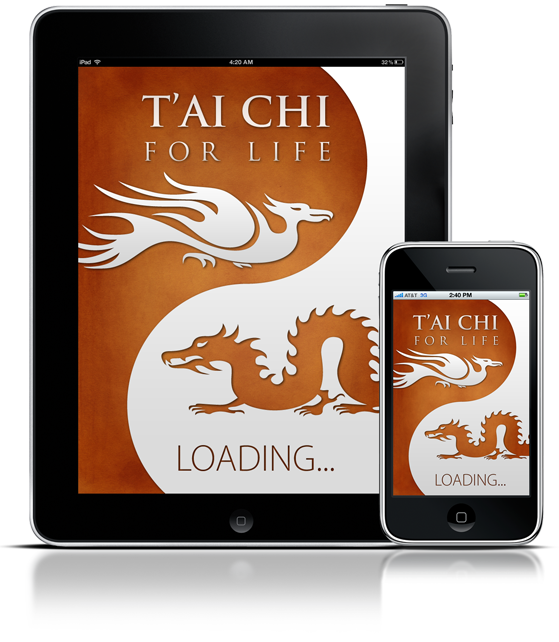 The T’ai Chi For Life app is now available to download from the App Store®, and is compatible with iPhone®, iPod touch®, and iPad®. 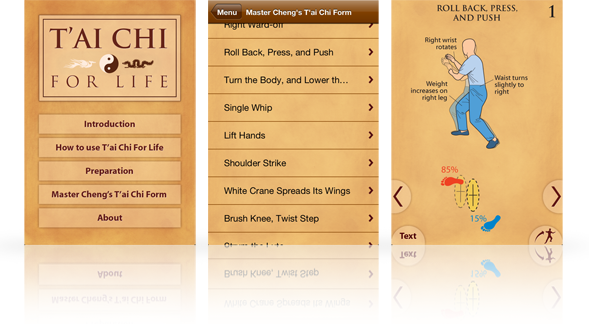 Tai Chi For Life is a fully comprehensive guide to the Cheng Man-ch’ing form. Every movement and change in posture throughout the form sequence is shown with clearly annotated diagrams, and accompanied with a detailed text description. The whole form sequence has been broken down into 268 detailed step diagrams. 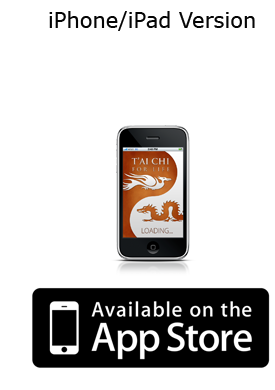 User friendly navigation keys, allow you to easily navigate backwards and forwards through the sequence at your own pace. The annotated step diagrams clearly identify every change in movement and posture throughout the whole sequence . Each figure position is coupled with a feet placement diagram, which indicates weight distribution and waist position. Each of the 268 step diagrams also has an additional text description page, which can be accessed with the “Text” control. 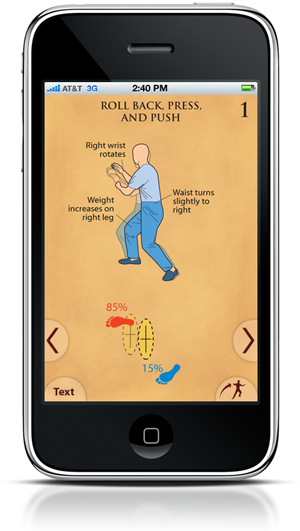 Tai Chi For Life has an “animate” control which can also be activated on any of the 268 form screens. There are 54 animation sequences, which are designed to give a quick overview of each sequence of the form.